Brand New Pin Pack High Definition HD PMP with TV-out, 4 GB Built-in memory 100 more games. MP5 comes with 4.3inch screen, 480x272 pixels. It is compatible with MP3, WMA, WAV, AAC, OGG and APE, FLAC music formats, RM, RMVB, AVI, FLV, MP4, VOB, MOV, 3GP, MPG, DAT video formats, max up to 720p video playback. TV output for shareing videos. Other functions include E-book, voice record, picture browse etc. *RM, RMVB, AVI, FLV, MP4, VOB, MOV, 3GP, MPG, DAT video format. *JPG, GIF, BMP photo formats, support Rotary, preview, slide show etc. *Caculator, calendar and games etc. *Powerful li-ion battery built in, support 2-3 hours video playback or 5 hours music playback. Support up to 1000 games. 1. Item will be sent within 24 hours after receive a verified payment. 2. It will normally takes 5-7 working days for arrival by EMS , 3-5 business days by DHL,7-20 business days by China Post. 3. We will send the traing information to you with 24hours after the goods is ship out. 4. All items and accessories would be double test before shippment. 5. We will ship all orders as “gift” and dear lower value to avoid or minimize your import tax. 6. We will not responsible for any wrong or undeliverable addresses. 7. The buyer is responsible for any applible import duty and local taxes. 2.we always give buyer good feedback because of the business u buyer bring . 3.do not leave usbad or netural feedbackwhen u are not satisfied with the goods. we believe we make u happy when u talk and solve problem with us.Since your feedback is very important to our business`s development, we sincerely invite you to leave positive feedback for us if you are satisfied with our product and service. It`ll just take you 1 minute. Thank you! Factory price JXD S5300 5.0-inch Android 4.1.1 ARM Cortex A8 1GMHz CPU 4GB the second generation of JXD game center "Game X"
5pcs/lot! 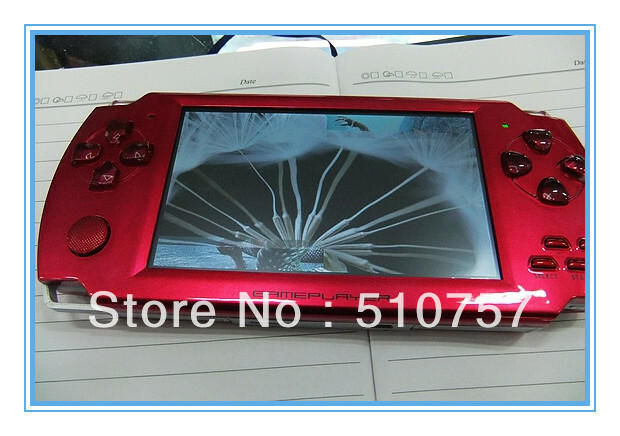 4.3" 4GB HDMI Output Game Player HD Touch PMP 3D Game Player Hot selling!! Happy Go high quality wholesale brand new 2.7 inch game player handheld game game console with freeshipping by DHL EMS HKPAM.